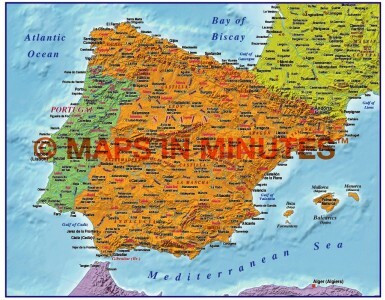 Royalty free Iberia Political Relief map @ 1:4,000,000 scale. Layered vector document in a choice of either Illustrator 7.0, Illustrator CS and FreeHand MX formats. Placed (linked) tiff Political colour relief background at 300dpi allowing use up to A3. 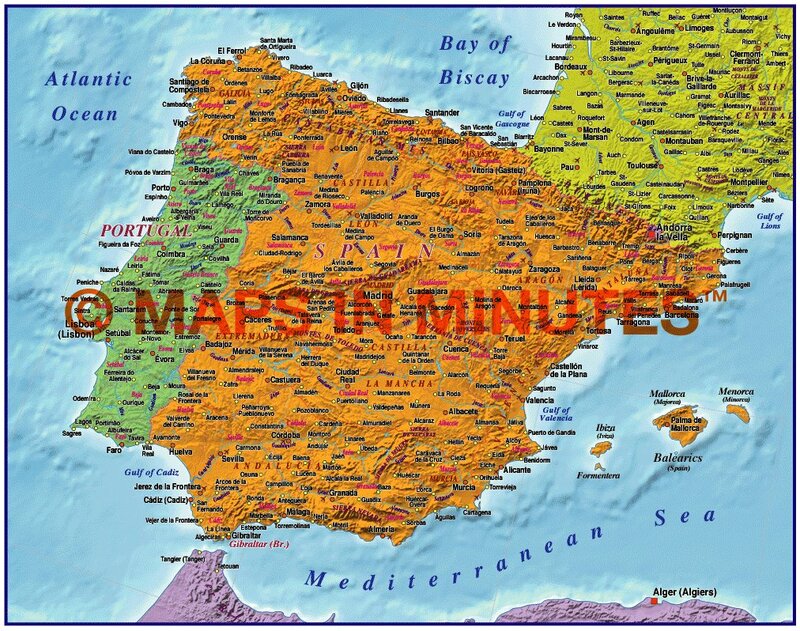 Royalty free Iberia Political Relief map @ 1:4,000,000 scale. Layered vector document in a choice of either Illustrator 7.0, Illustrator CS and FreeHand MX formats. Placed (linked) tiff Political colour relief background at 300dpi allowing use up to A3. Vector layers include Island names, Physical feature names, Lake and river names, major settlements, airports, coastlines, political & interal division borders, vector land fills, lat. & long., Tiff relief file contains alpha channel masks for editing relief in Photoshop (sea, land and countries).